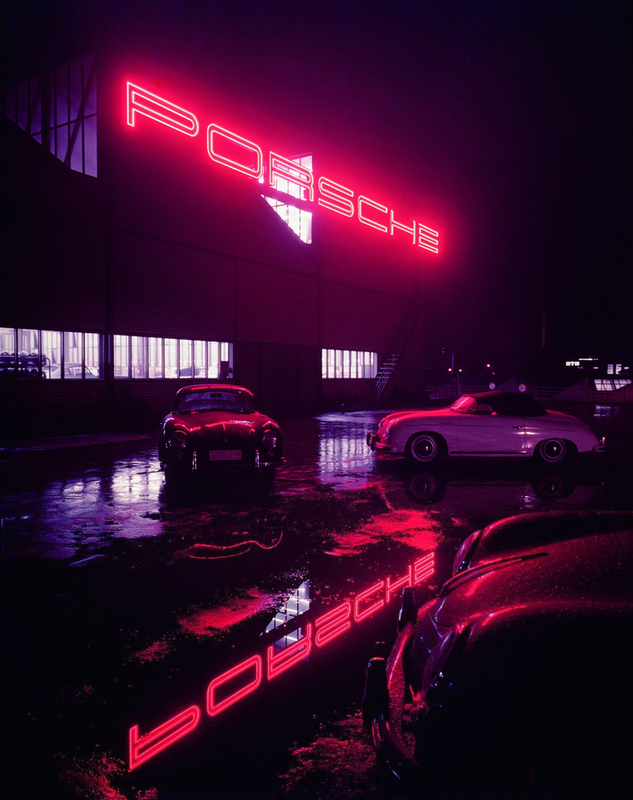 A picture of the Porsche plant at Zuffenhausen in 1955. More pictures and story after the jump. I was really surprised to find that this is an unaltered picture! In the 50s, professional photography equipment was far superior and expensive to what was sold to the general public. Color photography had just become cheap enough for regular but wealthy consumers to afford. The film for this picture was most probably huge, because 35mm camera and film couldn’t pull this off back then. It wasn’t until the 60s that color photography became cheap enough to have a wide market appeal - and even then, Kodak was the only game in town. That makes these color pictures special.